This tasty high protein breakfast only takes minutes to prepare but should keep cravings and hunger away for hours. Heat the oil or butter in a pan over medium heat. Whisk the eggs with the water, salt and pepper gently in a bowl. Pour the egg mixture into the hot pan. 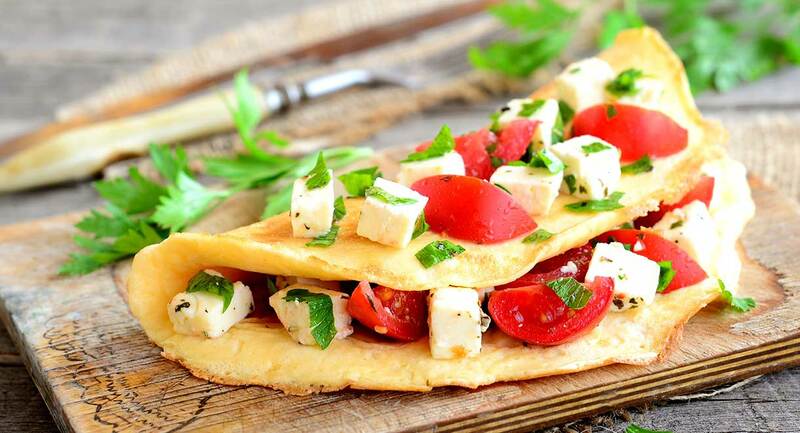 Place the chopped tomato and cheese on one half of the omelette. When the eggs are starting to set, fold the omelette over so that the filling is covered. Continue cooking until the eggs are done to your liking. Enjoy.